The expansive promise of the new year often morphs to a fine point: This year, I will change my body; this year, I will lose weight. Healthy eating challenges and promotional offers for diet plans abound in the early days of January. But soon, many people will have cast aside aspirations for the comfort of old habits. Of the dieters who managed to keep up their progress, a few factors emerged. Those who lost weight were more likely to stick to regimented eating patterns — for example, setting specific time limits between meals. They also “instrumentalize[d] eating behavior”– in other words, they understood eating as a means to the end of weight loss. Specific behaviors included calorie counting and selecting foods based on their nutrient composition. Participants who continued to lose weight were more likely to abstain from comfort eating and report lower stress levels than those who gained. So sticking to a plan helps, but as those familiar with dieting know, there are thousands of programs to choose from. Some say low-fat is the way to go, others exhort the evils of carbs. A forthcoming article in Nutrition points to the promise of high-fat, low-carbohydrate diets for weight loss and additional health benefits. The article reviews research that suggests high-fat, low-carbohydrate diets could have benefits at the cellular level. For example, it cites research that shows such diets promote changes to mitochondria, making these energy-producing components of cells more efficient. The authors write that these adaptations can help overweight individuals with metabolic dysfunction, such as insulin resistance. Other research backs these claims. A new study published in Nutrition & Diabetes tracked a group of 34 dieting adults with diabetes or prediabetes for a year. The participants either followed a very low-carbohydrate diet or a moderate-carbohydrate, low-fat diet. After one year, the very low-carbohydrate dieters lost more weight and had greater improvements in control over their diabetes, as measured by HBA1c levels and diabetes-related medication use. While the researchers note that the small sample size limits the generalizability of the findings, new research in the Lancet with a much larger sample paints a stark picture. Looking at data collected in 18 countries over 10 years, including the dietary intake of over 135,000 people, they found an association between higher carbohydrate intake and increased risk of mortality. By contrast, fat intake, even when broken down by type of fat, was not associated with cardiovascular disease. In fact, higher fat intake was associated with lower mortality risk. But whatever works to lose weight and keep it off will bring health benefits. A new study published in JAMA looks at disparities between black adults and white adults in developing type 2 diabetes. The study states that the incidence of type 2 diabetes in black adults is twice that of white adults. The researchers attempted to analyze which factors are linked with this increased risk. After looking at data such as neighborhood composition, socioeconomic status, and biological factors (body mass index, blood glucose levels) for 4,251 young adults, they determined that “biological factors were most strongly associated with the disparity in diabetes risk between black and white individuals.” In other words, weight (which the authors consider a biological factor) was a key element in diabetes’ differing incidence in black and white people. Moreover, they found that after adjusting for biological and other modifiable factors, the disparity in diabetes risk between black and white adults disappeared. 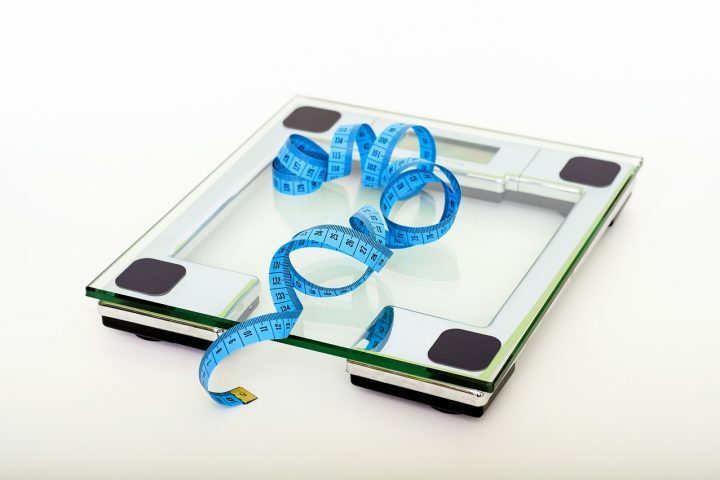 The benefits of weight loss persist even after modest regain, a new study suggests. The study followed up with 103 women who lost weight, both with and without exercise. (Couch potatoes should note that both groups had similar weight loss.) At six months past the end of the weight loss regimen, the women maintained reductions in body fat and increased insulin sensitivity, even after they gained back an average of about two kilos. So even if goals go unmet and resolutions falter after a few months, dieting efforts are not necessarily in vain.